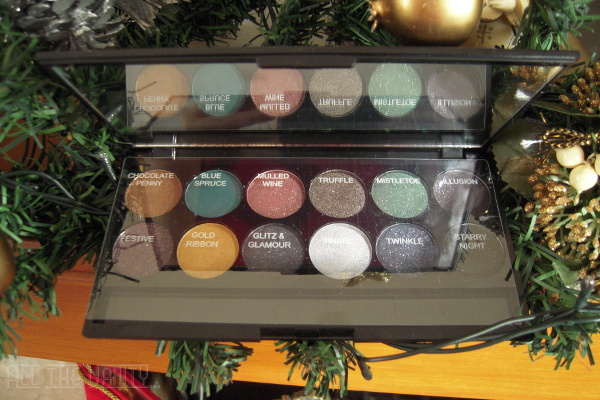 Trying out the new Sleek MakeUP i-Divine Sparkle 2 Palette...! If you're not up to date with the new releases in the makeup world, you may not know that Sleek MakeUP has come out with a new, limited edition palette. Their i-Divine Sparkle 2 Palette was released a few weeks ago, just in time for holiday season, and I had the chance of testing it out. Now, there is something I must confess: I own about 5 or 6 Sleek MakeUP palettes, yet I haven't really blogged about them that much. The reason for that is that I use them mainly when I'm traveling, or when I'm trying out a bold, colourful look (that almost never makes it on here), so there isn't just a lot of room for them in my classic everyday neutral/taupe eye makeup routine. I used Festive on the lid, Tinsel on the inner corner and on top of Festive, Truffle in the crease and Glitz&Glamour in the outer V. I enjoyed creating this look, and I think that unlike their first ever palettes, the newer ones have lesser fallout. Surely, some of the glitter will be dusted off while blending, but, thankfully, it won't end up on your undereye area or cheek. What's your take on Sleek MakeUP palettes? Do you feel that their quality has improved? Any plans for a New Year's Eve makeup look? Love the look you created honey! !And there's no extreme fallout you are so right!Love truffle and chocolate penny from this palette! !you give me ideas for new Year's eve!! Isn't that burgundy eyeshadow so stunning? It's probably my favourite shade out of the whole palette! I like that you've kept the lower lashline clean, it makes the eye makeup look a bit more fresh and youthful. Have you tried the Au Naturel or the Storm palette? I'm thinking about buying one of those in the future! 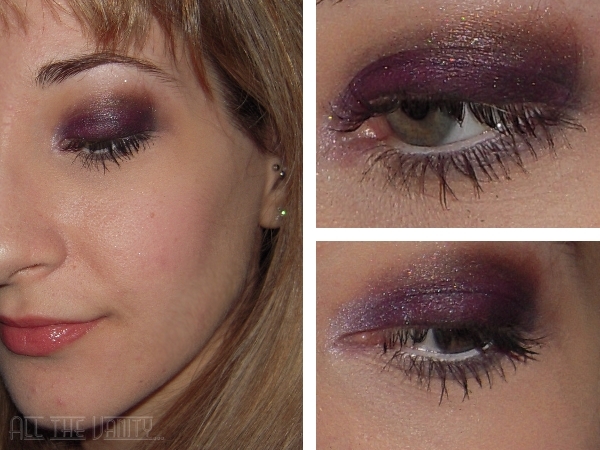 @Evi: Agreed, those berry/purple shades were great for this palette! I've actually used a tiny bit of the purples on my lower lashline, but mainly used what was on the brush already, didn't overload that spot with pigment! I've tried the Storm palette, and it's a great selection, though I think it's a bit more crumbly than their latest editions! The Ultra Matts Dark V2 or whatever, is a great alternative too!! !